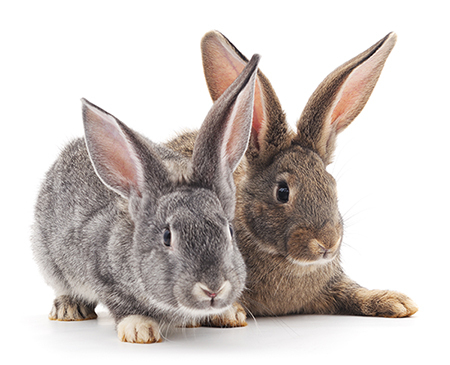 Available at BattLab PCR assay for the detection and differentiation of rabbit haemorrhagic disease virus (RHDV1 and RHDV2). The sample of choice for the diagnostic PCR is liver, since it is the organ containing the higher vial titer. We recommend submission of fresh or frozen tissue collected at post mortem, since formalin fixed tissues are not suitable for this test. Alternatively, other organs (e.g. spleen, peripheral blood, urine) may also contain variable levels of virus which can be detected by PCR. For more information and costs please contact the laboratory.